Bollywood diva Shilpa Shetty turned showstopper for designer Divya Reddy at the Lakme Fashion Week Winter/Festive 2015 in Mumbai on August 30, 2015. Actress turned businesswoman was seen in a pretty yellow and peach lehenga created by the designer for her ‘Allure’ collection. 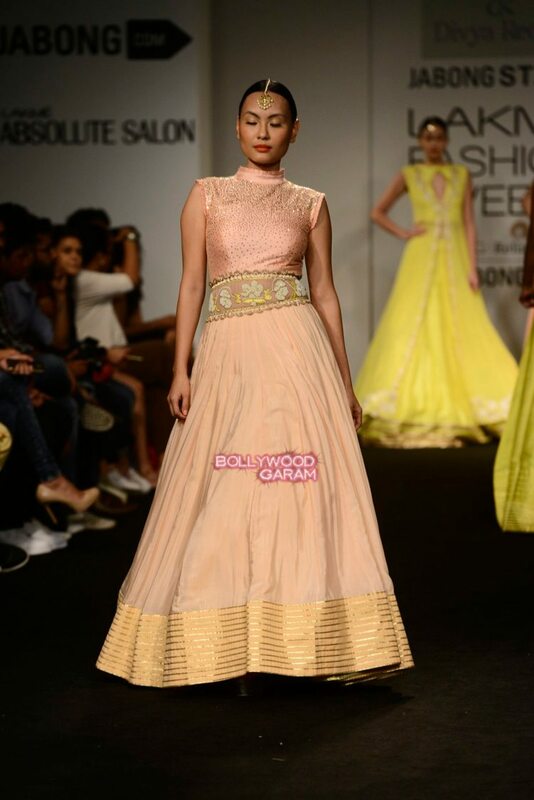 The highlight of the collection was pastel colors with highlights of gold. 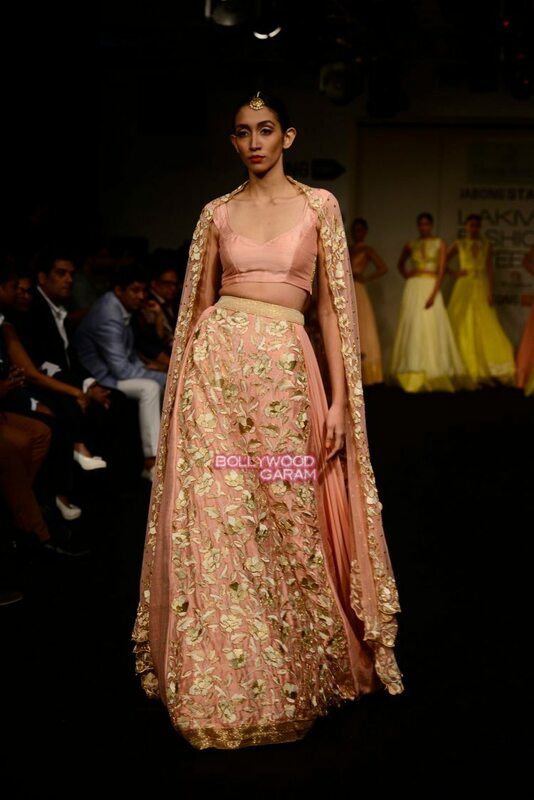 The collection had some serene lehengas for the modern day bride and for the modern day weddings.